What is the difference between cable and wire? Home > News > What is the difference between cable and wire? Cables and wires are common materials in our lives. Most people can distinguish the difference between the two. However, some users cannot distinguish between the two materials. Today we introduce the difference between cables and wires below. Let's take a look at the difference between cables and wires ! 1. The cable's circuit composition is generally multiple or two units of multiple wires through the twisted system to form the same line as the cable, each set of conductors are insulators, according to a certain direction of the center winding Twist into one. In the wire surface has a very high insulation coverage, so that the internal power supply smooth, protect the external use of security, usually composed of core, insulation and protective layer three major components of the cable structure. 2. Cables are usually used in series of transmission and magnetic energy conversion. They can be divided into power cables, shielded cables, signal cables, marine cables, and aluminum alloy cables according to different functions. Widely used in the communications and power industries, it also has a certain role in the promotion of motor production. The large overhead lines are also completed using cables. 3. The cross-section of the cable is large, so it is convenient to transport and carry more energy. The fire-resistant cable can't perform normal power transmission in fire danger, and it also has a fire extinguishing device, which minimizes the danger and plays a certain protective role for the user. 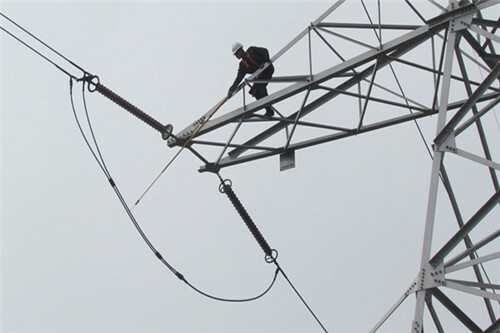 The conductor used is copper, and the access of the ground wire makes the use safer. 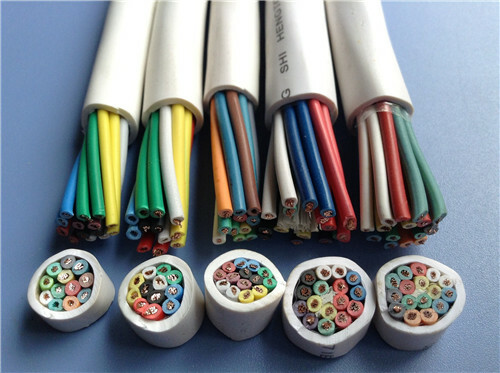 As an uninsulated material, the cable is used for a long time, has good durability and is not easy to be aged. In production and manufacturing, all products are strictly in accordance with relevant industry standards to ensure safe use. 1. The composition of the wire is made of one or more wires with fine cores and soft texture. It has a good insulating protective layer on the surface of the wires. The cross-section is much smaller than the cable, but it is also composed of three parts: the core wire, the insulation layer and the outer protection layer. 2. Qualified wire production must be in strict accordance with industry-relevant standards and achieve a rated voltage of 220V before sales can be made to ensure the safety performance. In addition, the wires have low anti-aging properties, good weatherability, and are not easily corroded, making the wires more durable. The wires are mainly used for the transmission of electric current, and are used in the residential space to facilitate the normal use of various electrical appliances. Regarding the difference between cables and wires , I introduced it here for the time being. I hope to help you. After reading the above two detailed introductions, if you are aware of the fact, in fact, there is a big difference between wires and cables. If you want to learn more about the decoration, you can pay attention to this site information, more exciting content waiting for you.